Roofing Contractor magazine has published a story highlighting the evolution of EPDM roofing from its introduction in the 1960s. 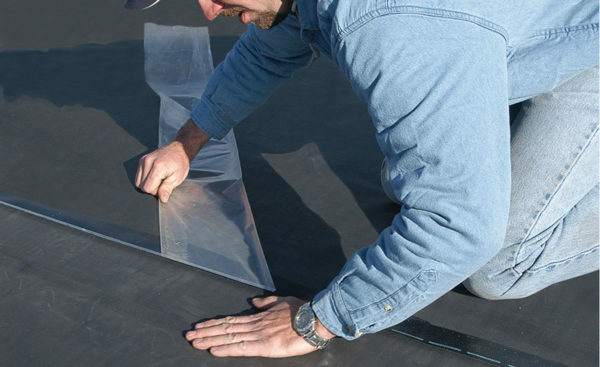 “First introduced in 1962, EPDM single-ply roofing membranes became increasingly popular in the 1970s as the Middle East oil embargo drove up the price of asphalt-based roofs and lowered the quality of available asphalt. EPDM was cost-effective and simple to install, and quickly became known for its exceptional hail resistance, UV stability, and weathering resistance due to the cross-linked nature of its chemistry and the UV-absorbing power of its raw materials. The article discusses various improvements to EPDM over the years including angle change securement, puncture resistance, use in flashing details, and advances in durability.